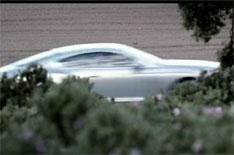 Bentley Continental GT online reveal | What Car? Bentley will unveil its new Continental GT coupe to the world online next week. For seven days from 3pm on Tuesday, September 7, Bentley will host the event at www.continentalgt.com. On the site, the company says viewers will be able to enjoy a motor show-style unveiling, as well as choosing from a range of camera angles to take bespoke virtual tours of the car. The site is already live now, and although there are no explicit images or details of the new car, visitors to the site can see a short film, which shows fleeting glimpses of the car, as well as showing the designers at work on the new model.